UpKeep now integrates with Single Sign On (SSO) Providers! 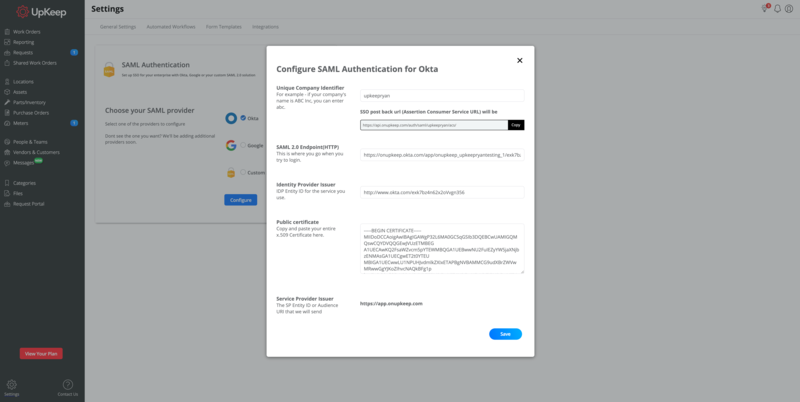 Use the example below of how to set up Okta and UpKeep SSO! STEP 5: They will now be able to log Into their UpKeep by using their unique company ID and their Okta username and password!